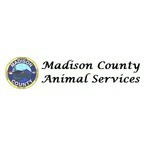 Madison County Animal Services hasn't added a story. On the early morning of 10/9/18, Chevy, a 4 year old American Pit Bull Terrier, was stabbed by his caretaker with a serrated kitchen knife. Chevy has undergone surgery to place a drain tube but it was difficult given the serrations of the wound. Chevy is heartworm negative, and was treated for severe fleas and intestinal parasites because he was so anemic. Ideally we would have been able to wait for the anemia to subside before he was put under for surgery but given that his white blood cell count was high, infection had already set in and it was imperative that he had to have surgery today. Chevy's blood is not clotting as quickly at the vet's would like and his swelling is also spreading to his nasal cavity so it is quite possible that he will have to undergo additional surgeries due to this stab wound. Chevy's caretaker has been charged with animal cruelty by our Sheriff's Office. Our goal is to make sure that Chevy heals and is placed into the loving home that he deserves once he's fully recovered. We have included a copy of the invoice for his initial expenses. We are hoping to raise additional funds for his future veterinary visits, especially if he requires additional surgeries. If you could help us by contributing to his medical fund, we would be incredibly grateful. If there are any funds left after he is completely healed, they will go towards the next animal in need. Madison County Animal Services hasn't posted any updates yet. Madison County Animal Services is managing the funds for this campaign.